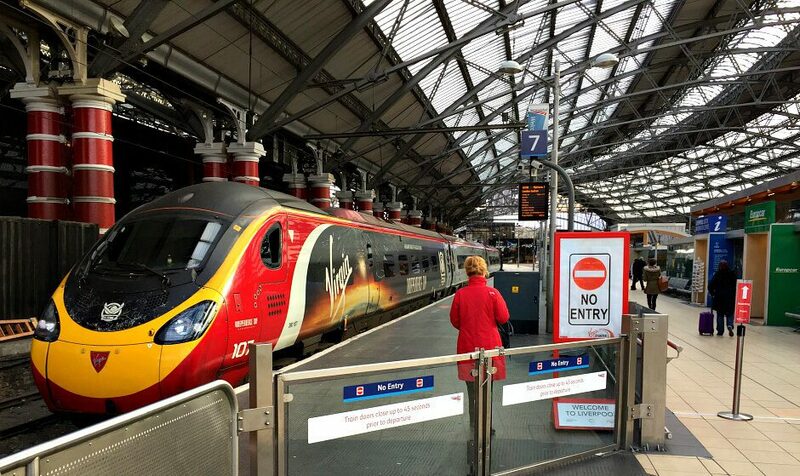 Do you remember when we accidentally travelled first class on Virgin Trains? 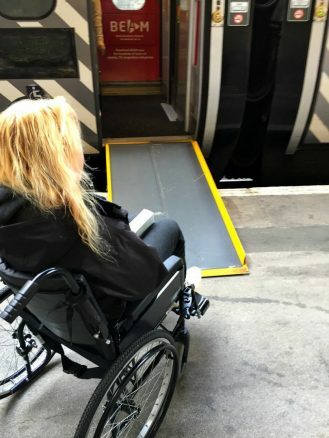 I’m old enough to remember the slogan “Let the Train Take the Strain” and now more than ever, I’m more than happy to let someone else take the strain out of travelling with a wheelchair. Back in November, we attended the World Travel Market in London. I wouldn’t attempt to drive in London so I put my travel blogger head on and reached out to Virgin Trains for help. Specifically, I asked to review the process of travelling with a wheelchair and cheekily asked to review their first class service – guess what…. they said yes!!! Since the trip, I’ve read horror stories about how some disabled passengers have been treated on trains. 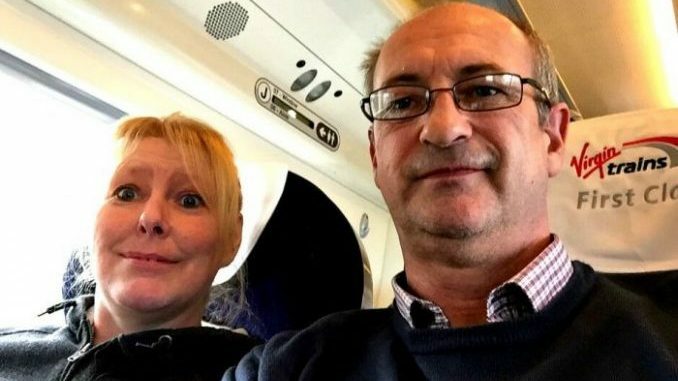 Whilst these stories upset and annoy me, and absolutely shouldn’t be happening, I also know there are many passengers out there who have had positive experiences using the train. So, from the outset, I want to offer my balanced review, a review based on being a paying and complimentary passenger. I accept, not every journey will be the same, but I would remind you that we’re not all the same and neither are our experiences. Therefore, I feel it’s important to write this review and recognise how Virgin trains worked for us. I’ll be honest, I think the only way I’d travel on a train these days is in first class. Not because I’m a snob or rich, but because I think it’s the easiest way to travel when you’re travelling with a wheelchair. On this trip, I walked through the train to see the other dedicated disabled spaces. Maybe it was me, but the standard carriage felt claustrophobic, whereas the first class carriage felt spacious. This alone is enough to make me think if you’re using a train you need to travel first class if it’s available. Before you get on my case about the price of first-class travel, read on and I’ll give you some tips to keep the ticket price down. There are a number of options when it comes to booking tickets, you can book on the phone, online or through a third party. I booked my tickets online then phoned the assistance helpline. This worked, but during the process, seats were allocated to me. It wasn’t too much trouble getting the allocated seats changed, especially as I knew which seats I wanted, but it wasn’t possible to change them online. The assistance helpline (Journey Care) changed the seats without a fuss. What I should have done and what I’d recommend you do, is find the best price online then phone the helpline to book the tickets and seats at the same time. The assistance helpline will not only book tickets, they will arrange any assistance you need at the stations including accessing the train. If you’re unable to use the phone, you can do this online as long as you’re not travelling within the next 24 hrs. Hopefully, this time limit will change as it’s restrictive, that said, I wouldn’t be booking tickets for the next day unless it was an emergency. Book in Advance – I think you can book tickets up to 12 weeks in advance. You’re more likely to get the best price when they first go on sale. Travel off-peak or at the weekend – If you can travel off-peak or of a weekend. Prices are much cheaper outside of the peak periods and first-class carriages are less crowded. Use a Disabled Person’s Railcard – If you qualify, get yourself a disabled person’s railcard, you’ll knock up to 30% off your ticket price straight away. Discounts and Deals – Keep an eye out for promotions and special offers, sign up for newsletters. Having used Lime Street station many times, I had no fears about access, it’s flat, has accessible entrances on both sides of the station and a lift from the underground. Out of curiosity, I called the information centre and the disabled access push button was broken. I struggled a bit with the wheelchair, the door was heavy, but the staff spotted me and came to my aid. My next port of call was the Virgin customer care centre. Their doors worked haha… and the staff were only too happy to assist. I informed them I’d booked assistance and they were straight on the radio to find the member of staff who’d been assigned to help us. But, before they could get to us I wanted to put them to the test, so I left the customer care centre without telling them where I was going. Yes, I was being awkward, but passengers do go missing and I wanted to know what they’d do? As we were travelling first class I wanted to use all of the perks, and that included a visit to the first class passenger lounge. Don’t get too excited, it’s not like an airport lounge, but it is a welcome relief from waiting on the platform. If you’ve got time to kill or work to do, the lounge is a haven from the crowds. 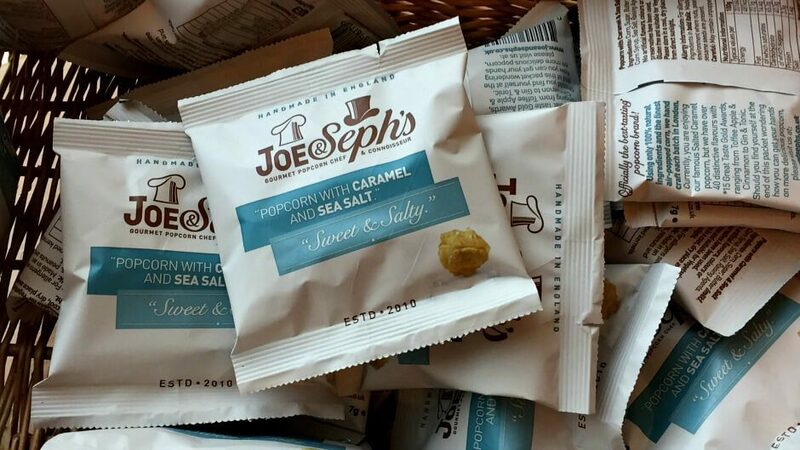 As we were travelling at the weekend I think the complimentary refreshments were limited, but we still took advantage of the hot and cold drinks, biscuits and swishy popcorn. Remember I said I wanted to test the mobility assistance team? After about 5 minutes of being in the lounge a team member arrived, the lady was clearly relieved she’d found us and again was straight on her radio to report we were no longer missing. The assistance lady explained she’d been looking for us everywhere, confirmed what assistance we needed to board the train and onboard then left us to enjoy our snacks. Approximately 15 minutes before the train was due to depart our assistance lady returned. She kindly wheeled Bridget through the no entry barriers and took us to the first class carriages where the access ramp was already in place and a member of train staff was waiting for us. I pushed Bridget onboard and we settled into our reserved seats. I’d booked seats 3 and 4 which are next to the disabled toilet. Seating – I mentioned I booked seats 3 and 4. I knew these seats from our first trip, I asked assistance why I was unable to book these seats online and was informed that they can only be booked with the wheelchair space as at least one of them is reserved for a carer. Once we were seated comfortably in a reasonably quiet carriage the train manager stopped by for a chat. 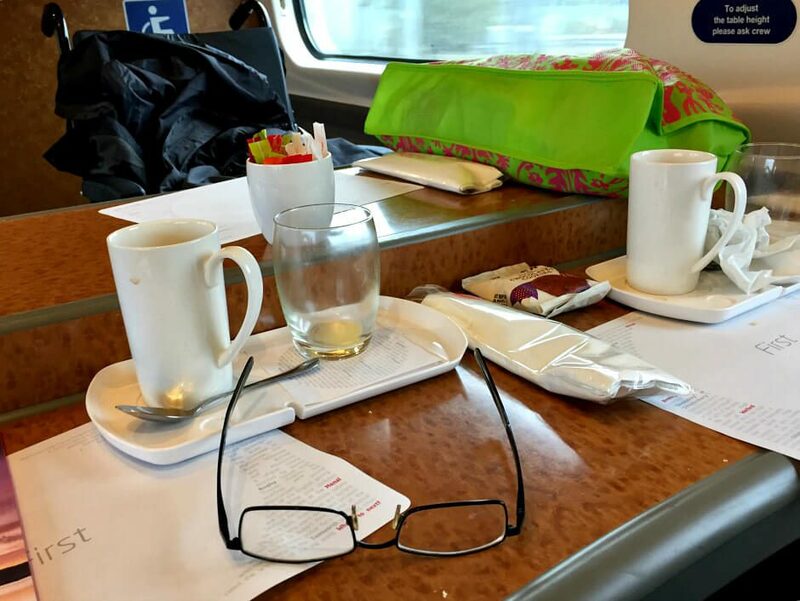 She checked we’d booked assistance at Euston Station, explained how to access the onboard wifi, the beam entertainment service, what refreshments we could expect during the journey and offered to fetch anything else we needed from the buffet car. Onboard WiFi – As a blogger, one of the bonuses of travelling on a train is that I can work while I’m travelling. I’ll admit it, at least at first anyway, the wifi connection was rubbish but then I realised I was still connected to the station wifi and not the train wifi!!! Once I connected to the right one, it was a breeze and allowed me to be productive on the train. BEAM – If you’re not working and want to chill out, you can use your phone, tablet or laptop to connect to the onboard entertainment service BEAM. With hundreds of hours of TV programs, box sets, magazines and games you’re sure to find something to while away the journey, and best of all, it’s FREE! Refreshments – As I have already mentioned, we travelled to London over the weekend. During the weekend there is a limited complimentary menu, we still had a panettone, tea, coffee, soft drinks and biscuits. You can buy hot food and sandwiches from the buffet car. If you’d struggle to get to the buffet car, ask a member of staff for assistance. The whole journey, which took about two and a half hours, passed without incident and we arrived at Euston station refreshed and ready to tackle London. When we arrived at Euston a member of staff was already on the platform waiting for us with the access ramp to help us disembark. After a useful trip to World Travel Market, it was time to return home. Our Uber taxi negotiated London’s ridiculous traffic and dropped us off at the side entrance to Euston station. We immediately headed towards the customer care centre and introduced ourselves to a member of Virgin trains staff. Access Ambassadors – Here’s something I didn’t know and is not widely advertised. 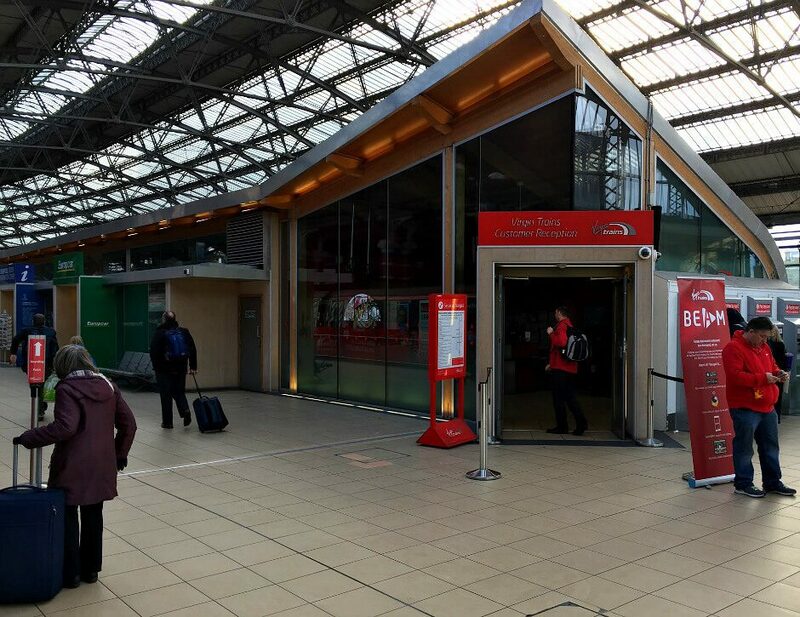 Virgin has staff members who are trained to spot people who may have difficulty accessing the train. They discreetly approach the passenger and offer their assistance should they need it – nice touch! 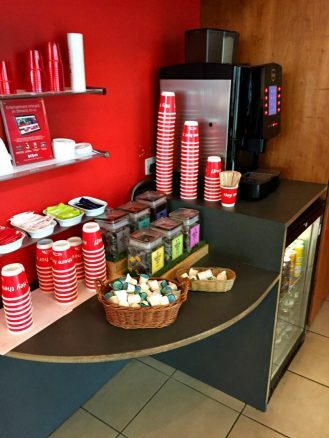 First Class Lounge – I had great expectations for the first class lounge at Euston. Whilst it didn’t disappoint me, it didn’t impress me either. You access the lounge via a lift to the first floor, it has plenty of seating and a complimentary range of hot/cold drinks, fruit, crisps, popcorn, cake and biscuits. I’m not entirely sure what I was expecting, but I would have liked to see a wider variety of complimentary food, maybe simple sandwiches, but I suppose this all adds to the ticket price. Accessing the Train – At Euston, there is a long concrete ramp down to the platform. Once we arrived on the platform the portable access ramp was in place ready for us to get on the train. Onboard Seating – Again, our seating was reserved and we settled down for the comfy journey home. Entertainment and Wifi – Although I didn’t use BEAM on the way home, I did connect to the wifi and catch up with my emails. 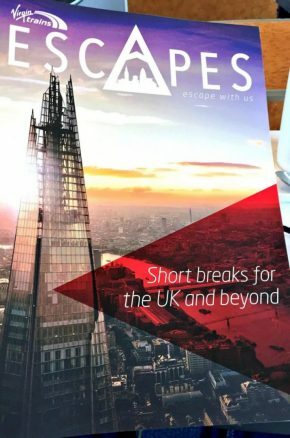 I also sat back and read through the in-house magazine Escapes which was packed with interesting stories and offers. Lime-Street – Sadly, the journey was over all too quickly. We arrived at Lime Street station refreshed, well fed and were met by a member of staff with a portable ramp. For us, using Virgin trains first class service to travel to London was perfect. From an accessibility point of view, using a manual wheelchair was easy. Both stations were accessible, access to the train was straightforward and the seating was comfortable. From a pricing point of view and taking into consideration we were given complimentary tickets in order to write this review. I’d still say, if you use the tips I mentioned above, the price of first class tickets can be surprisingly low considering the extras you receive. From my point of view and weighing up the pros and cons of cost and comfort, I honestly can’t imagine us using the train without travelling first class where it’s available. What is Wrong With Me – Can it Really Be Fibromyalgia? 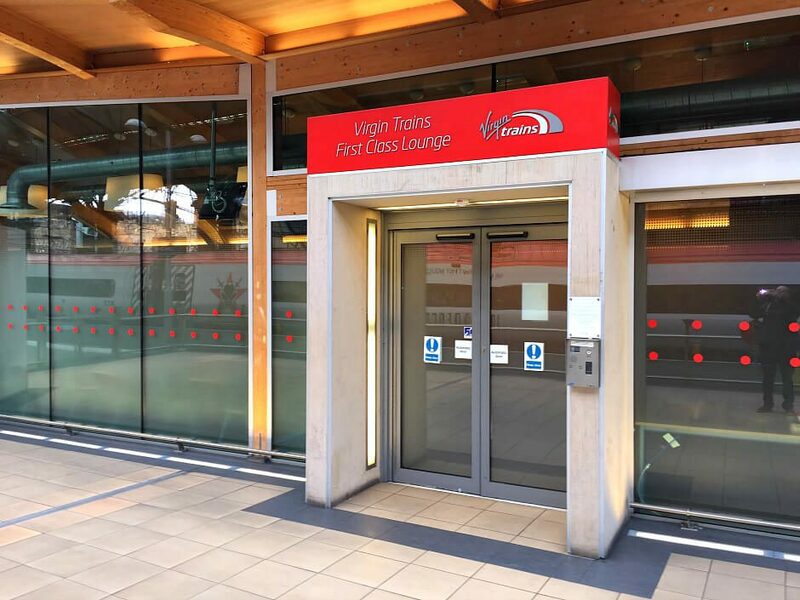 Virgin Trains Went The Extra Mile – Thank You! I’d endorse those views about the first class service. A wheelchair user myself, I’ve used the VT service many times and never let down by the first class experience. Staff always helpful and assistance at the stations a now much improved service. Well said Chris, we agree. Virgin trains certainly worked for us. I have taken my son on many train journeys. Virgin is by far the best but in his power chair, it has to be a Pendolino and it’s far easier to get into the wheelchair space in first class. 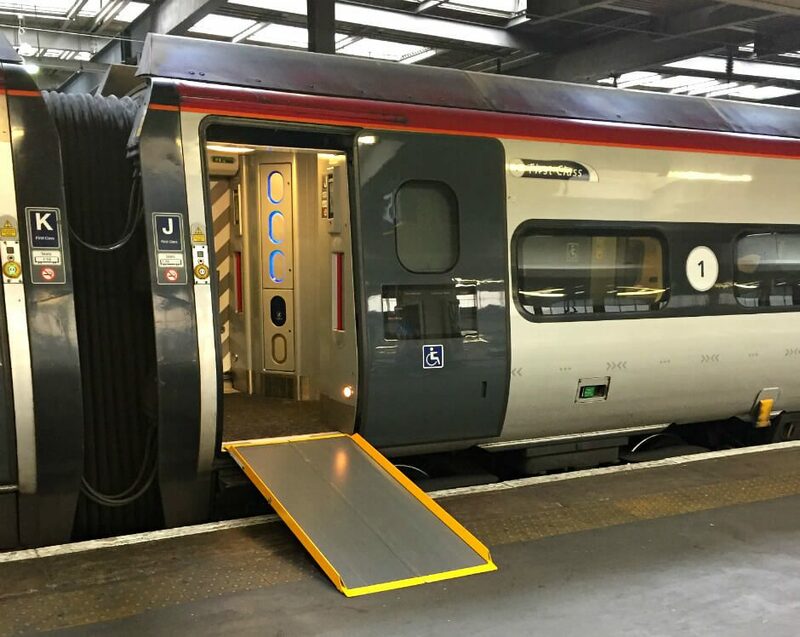 The drawback to the wheelchair space is its necessarily close proximity to the toilet which isn’t always very savoury and the constant comings and goings of other passengers can be irritating, especially when they ask you how to operate the doors! Hi Harriet, yes, I remember commenting on how busy/popular the accessible toilet was. I am interested in your comment about the Pendolino? Can you elaborate? Great to hear from you. Yes, we had a good experience, but it does seem a bit random as I have spoken to many who’ve had a smooth trip and others were the service has fallen short. It should be said, it seems to be at the station where the service goes array which I think is down to communication.Too many times I have heard of passengers who’ve booked assistance in advance only to be left on the train waiting for a ramp. I would advise any of my readers to ask the train manager or member of train staff to radio ahead to check the ramp will be waiting.